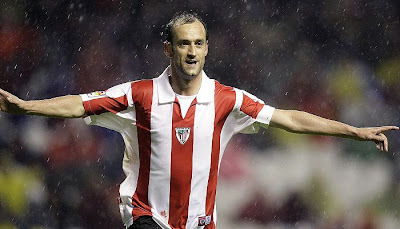 In an age when the amount of money flying around the game is beginning to pollute the beautiful game, Athletic Bilbao remains a breath of fresh air. They are one of only three teams never to have been relegated from the Primera Liga, along with Barcelona and Real Madrid; in the historical classification of La Liga, they are in fourth place; they have won eight Primera Liga titles and twenty-three Copa del Rey trophies in their history; one of their players still holds the record for the most Primera Liga goals with 252. What makes this all the more remarkable is that ever since 1912, the team has consisted solely of Basque players. The Basque country is a region that spans the French-Spanish border. The Basque region is fiercely nationalistic and claims its own language, culture and customs. With a population of just over three million people, it is slightly less populous than the West Midlands. However, Athletic Bilbao have achieved all their prior success utilising solely players from this small region. Over their history, they have been graced by some great names. 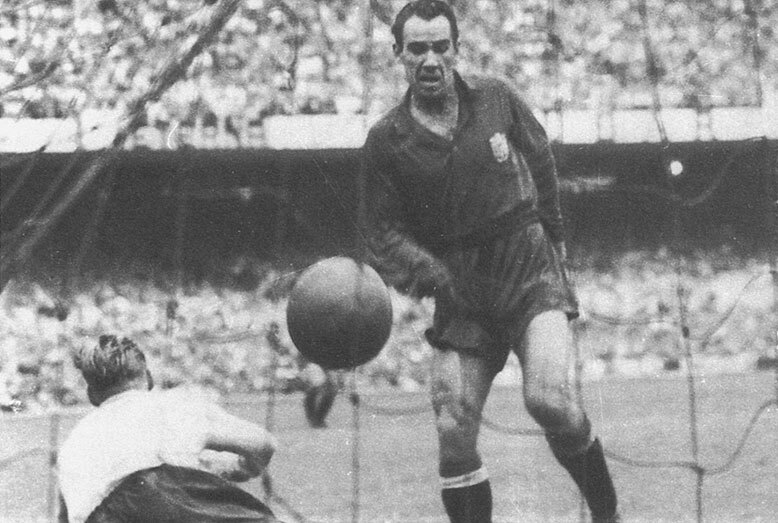 The prolific Telmo Zarra spent fifteen years at the club, breaking a host of goal-scoring records. His 252 goals in the Primera Liga remains the record, ahead of legendary names such as Hugo Sanchez (234), Raul (228) and Alfredo Di Stefano (227), and he is the only player to win the Pichichi Trophy for top scorer six times. Furthermore, his 81 goals in the Copa del Rey is also an all-time record for the competition. José Angel Iribar is another Basque legend, who was the first choice keeper at Athletic Bilbao for 16 years and for Spain for twelve years. During the 1970/71 season, he kept an extraordinary ten successive clean sheets at home (1,018 minutes), which remains a record. The most recent Basque legend is Joseba Etxeberria, who spent 15 years at Athletic Bilbao, as well as making 53 appearances for Spain over seven years. He also put many highly-paid players to shame when he signed a final contract at the club that saw he play for no wages. Given the limited stock of players that they restrict themselves to, their continued success is a huge credit to everyone involved at the club. They continue to develop top quality players through their academy system – Fernando Llorente and Javi Martinez were both involved in Spain’s victorious 2010 World Cup campaign, whilst the likes of Francisco Yeste, Asier Del Horno, Pablo Orbaiz and Andoni Iraola have all received plaudits both domestically and internationally. Their latest graduate, Iker Muniain, became the youngest player ever to represent the club last year at 16-years-old, and a week later became the youngster player ever to score for the club. He is also the youngest ever scorer in the history of the Primera Liga and has already attracted the attention of the likes of Real Madrid, Barcelona and Manchester City. Athletic Bilbao, and their policy of Cantera (literally ‘quarry’) remains a refreshing change in a growing world of money, greed and self-interest. Barcelona claim that they are ‘mes que un club’ (‘more than a club’), but Athletic Bilbao take it a step further. Their desire to maintain the policy was strengthened through the Franco era, when the Basque people suffered horrific oppression. Supporting the club was seen as a vote against Franco. The Basque roots are bedded deep within the club and it would be a surprise to see this change any time in the future. Reading this end of June 2016. They are still being the same...but even better.